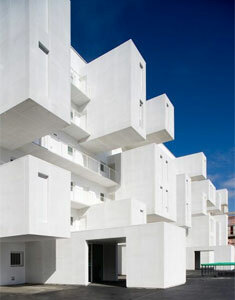 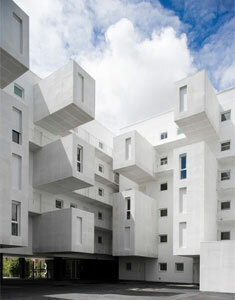 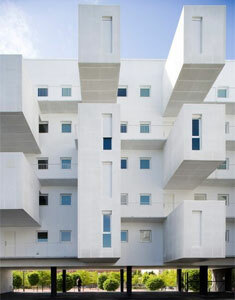 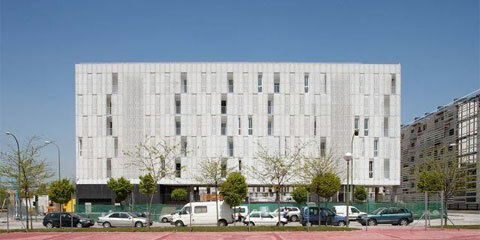 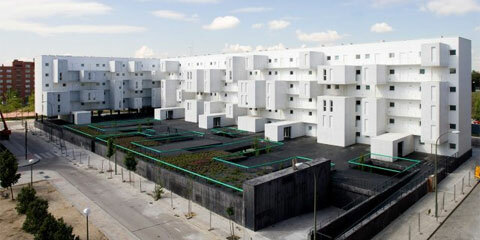 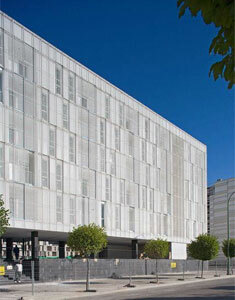 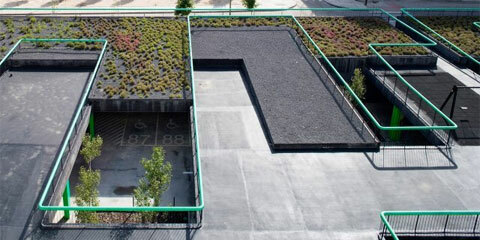 dosmasuno arquitectos projected 102 housing in Carabanchel, Madrid, for the EMV (Municipal Housing Company). 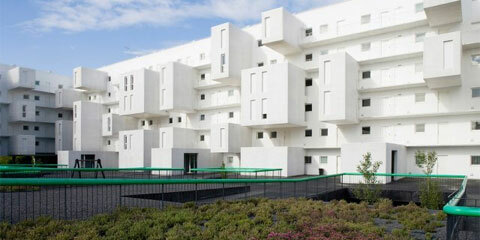 The building is compressed onto one edge of the plot, in a single linear piece in search of views and optimal orientation in which east and west share the south, soothing the interior and defining the exterior. 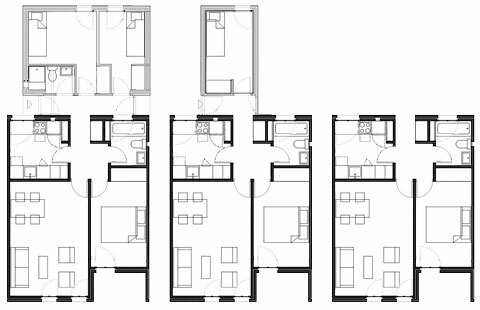 Dwellings are planned by and for this location from an invariable core that after an modular addition complete the requirements of the program. 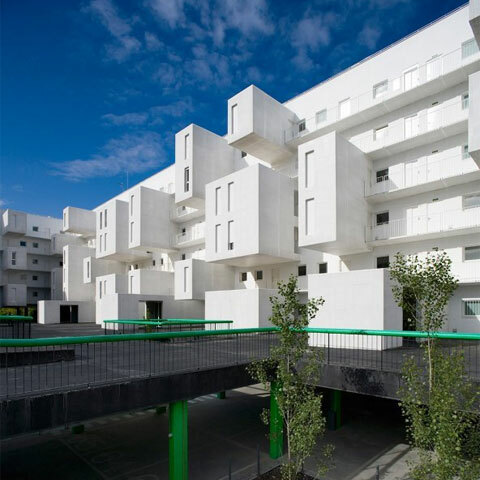 This core is constructed attending to the surrounding views and sunlight, and its two main pieces, living and bedroom, are located to the south limit which are protected with a vibrant filter, relegating the services area to the back side. 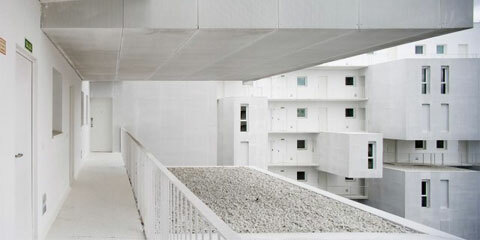 Like clouds drifting over the void, variations are introduced by the addition of programmatic pieces that forma the dwellings of two and three bedrooms.